Need new apps for your favorite device? Here are 37 iPhone, iPad and iPod touch apps that just hit the App Store. 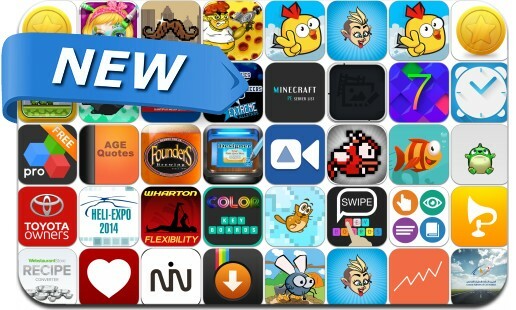 This new apps alert includes Chubby Kids, Loggr, Wakeapp, 52 Dates, Color Keyboards for iOS 7, Flappy Stache, Likey, Amazing Wallpapers for iOS7, OfficeSuite, Famous Age Quote-s, a dozen Flappy Bird copycats and many others. Cat Rage - Farty Time!